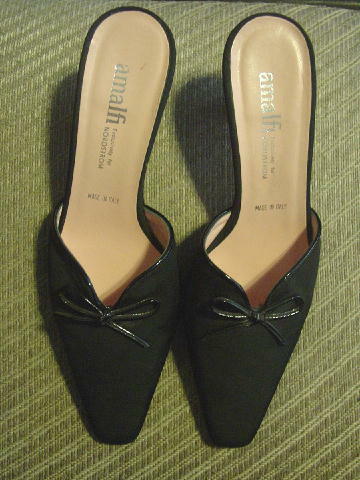 These black fabric (with a grosgrain texture) mules were made in Italy and are Amalfi exclusively for Nordstrom. There are square toes and the front opening has a black cord edging. The vamp has the same black cording in the shape of a bow. 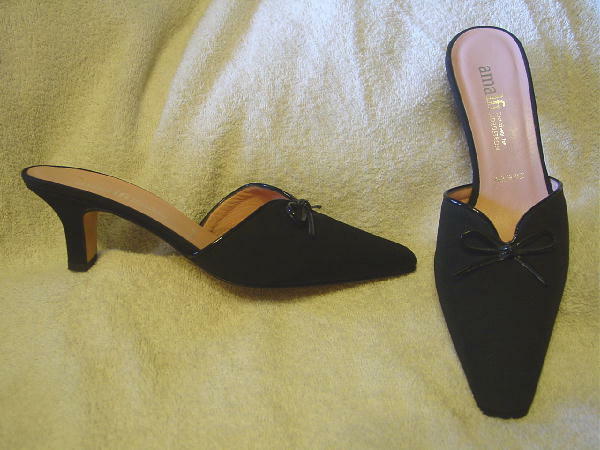 They have peachy-pink leather linings and insoles. 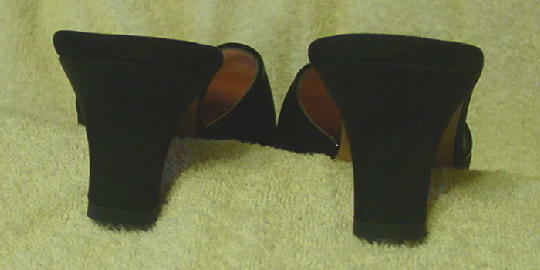 They're from a stylist's inventory, and were worn twice, in photo shoots.